Unlike other GPS manufacturers today who concentrate on GPS devices for the car only, MiTAC Industrial Corp. has truly focused its attention to create GPS devices for use outside of the car, such as the Mio C710. 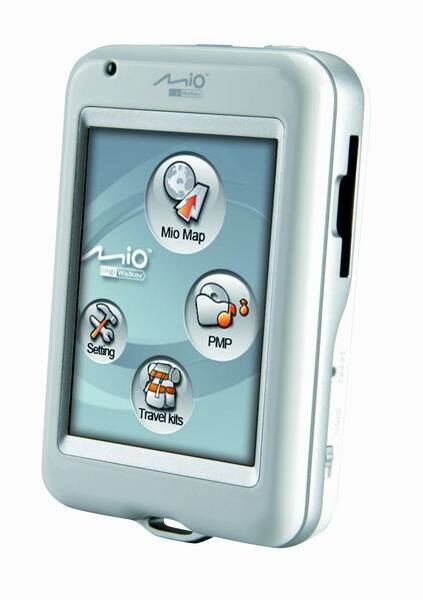 The company's latest device, the Mio H610, is the most ambitious to date in terms of being a hybrid navigation and entertainment gadget. It has an ultraportable design that makes it great for on-the-go use, and the unit's multimedia functions aren't half bad; but the compact size also makes it less than ideal for in-car navigation as viewing maps, and entering information on the small touch screen is difficult. We think it's a better navigator for bicyclists or city dwellers on foot, and drivers who want a navigation-first system should take a look at other devices, like the Magellan RoadMate 2200T or the Garmin StreetPilot c550. The Mio H610 is available now for $499.99.